The D.F. Wouda Steam Pumping Station (Ir. D.F. Woudagemaal) at Lemmer in the province of Fryslân opened in 1920. It is exceptional as the largest and most powerful steam-driven installation for hydraulic purposes ever built, and one that is still successfully carrying out the function for which it was designed. It is a masterpiece of the work of Dutch hydraulic engineers and architects, whose significant contribution in this field is unchallenged. It was the largest and the technologically most advanced steam pumping station in the world at the time it was built, and it has remained so ever since. The Ir. D.F. Woudagemaal, consisting of the pumping station with boiler house, chimney and coal storage depot, the inlet sluice at the Teroelsterkolk, the drainage canal (Afwateringskanaal), the outlet in front of the pumping station and at the inlet sluice, the sea dykes along the IJsselmeer with the pumping station itself functioning as a sea barrier, and the surrounding wide expanse of pasture lands has an outstanding value as a whole and is of high visual quality with respect to the landscape. 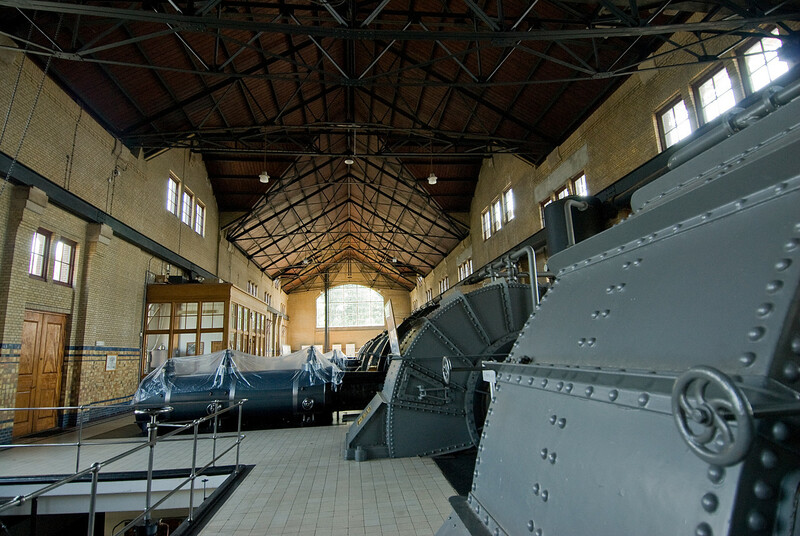 The pumping station itself is a steam-driven installation to prevent flooding of the low-lying areas of Friesland. The D.F. Wouda Steam Pumping Station Pumping Station can be thought of as the next generation of water management after the windmills in the Netherlands. Built in the 1920’s the pump still works and is used when the water levels are high in the spring (normal diesel pumps are now used). The equipment is in pristine condition, including the oil cans used to lubricate the moving parts. The D.F. Wouda Steam Pumping Station in Lemmer, Friesland, Netherlands is a celebration of technology. It was named as a cultural site by UNESCO in 1998. This pumping station opened in 1920 and is the largest one ever built that continues to be operational until today. It also signals the highest point of representation that engineers and architects from the Netherlands had contributed to protecting its people from the threats of water and flooding that has plagued the country for centuries. 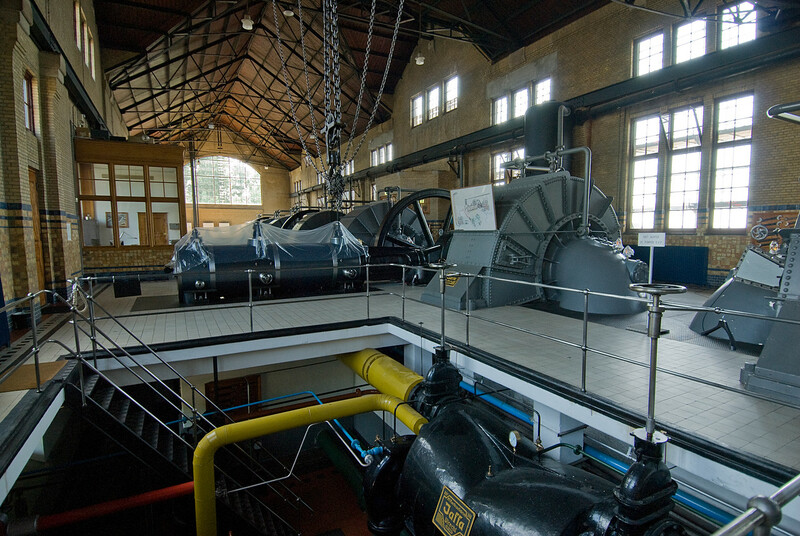 This steam-powered pumping station was built to pump excess water out of Friesland, a province in the Netherlands. It primarily runs on coil since it was inaugurated but was converted into heavy fuel oil by 1967. The station has the capacity to pump up to 4,000 cubic meters of water per minute. Today, the pumping station is used to provide assistance to another existing pump in the region: J.L. Hooglandgemaal, should the water level in Friesland rise exceptionally high. The D.F. 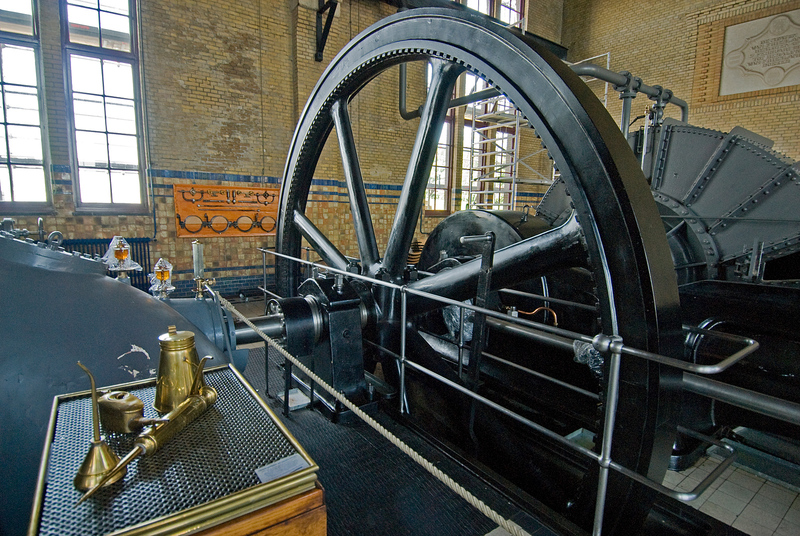 Wouda Steam Pumping Station in the Netherlands is made up of four double steam engines. These steam engines are paired with two powerful flywheels that drive eight centrifugal pumps. This is a complex work of engineering that was way ahead of its time. Indeed, necessity is the mother of invention. This could not be more true of the Netherlands at a time wherein it is battling with flooding issues and the threat of overflowing water, specifically in the province of Friesland. The steam pumping station is housed within a brick-walled structure. Inside, the base is filled with multi-colored ceramic tiles while the pumping tools are attached on wooden panels that add a decorative element to the structure. Since this steam pumping station begun its operation in 1920, the look and how it is operated has been unchanged until today. This makes the technology, which was developed ahead of its time, even more impressive. All of these are more than enough reasons to enlist the pumping station as a world heritage site by UNESCO. Today, there is a visitor center on the site that re-tells the history of how the D.F. Wouda Steam Pumping Station came to be. There is also an interactive museum experience, which is great for kids! The D.F. Wouda Steam Pumping Station is a little out of the way. It is not something that you would normally pass by. Therefore, it takes some planning if you want to visit the site while in the Netherlands. 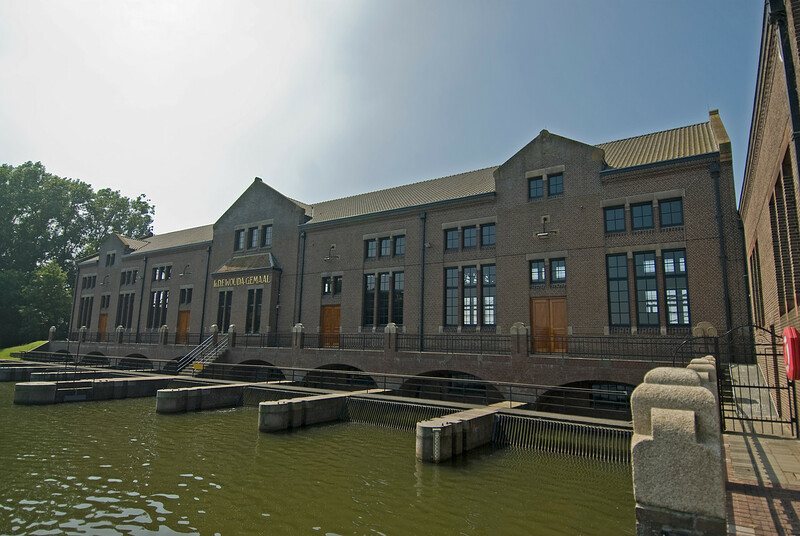 The pumping station is located in Lemmer within the province of Friesland in the Netherlands. If you are traveling from an international destination, you must take a flight to Amsterdam Airport. From the airport, you have three options to travel to Lemmer. 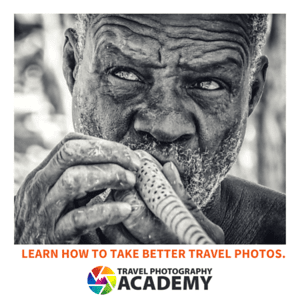 You can do so via train, which takes about 2 to 3 hours of travel. You can also drive to Lemmer by yourself. Lastly, you can hire a taxi or minibus to take you there. Not all of the pumping station is operational. Hence, it is open for tourists and visitors. In fact, regular tours are held at the site. I am busting with pride! My country rocks! So does your photo!